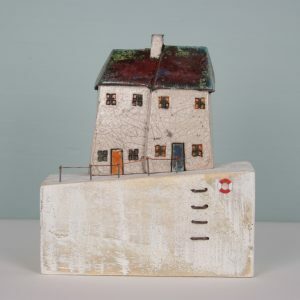 Along the waterfront is a row of charming white terraced cottages. 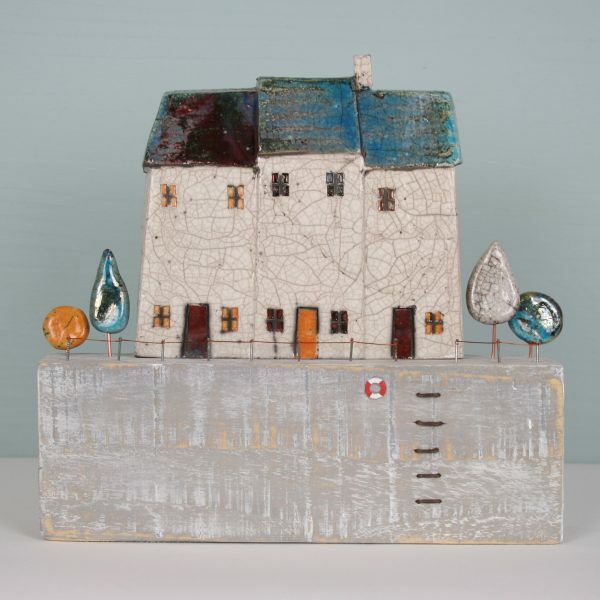 Ceramic cottages and trees/shrubs mounted on a wood base, with a tiny little fence and metal ladder. 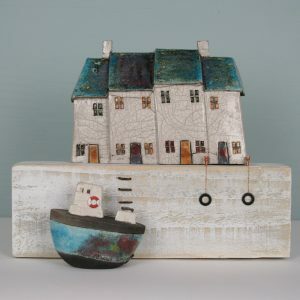 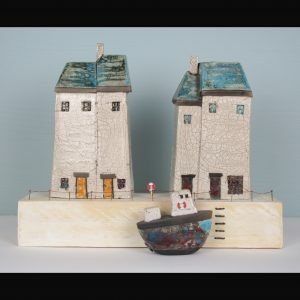 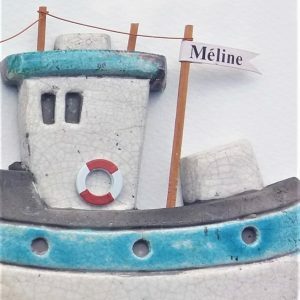 Category: 3D pieces – ‘Beside the Sea’ range. 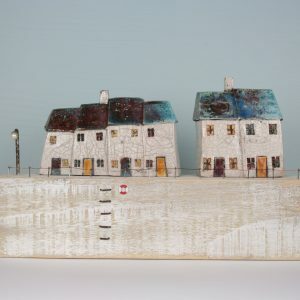 Images, artwork and content © Richard Goodwin-Jones.